A sneak peak. Holy cow! F is for Fake, G is for Greco. 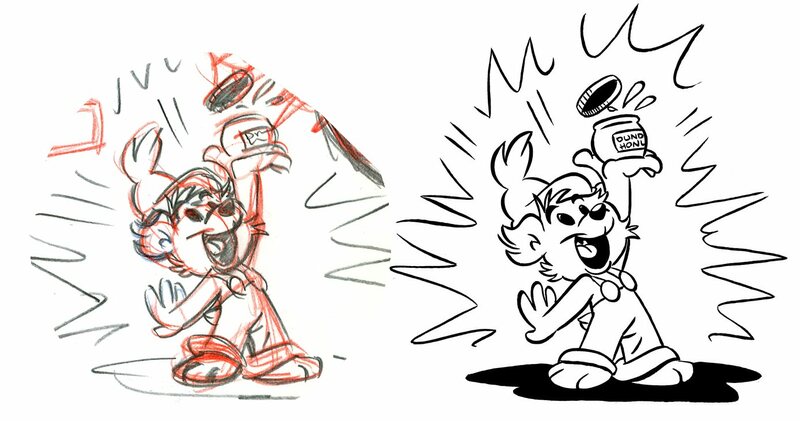 Sometimes I just can't resist drawing Bamse off-model. Just to see what it would look like if he was drawn in a more "dynamic" way than usual. Now, time to log out and rush to work. 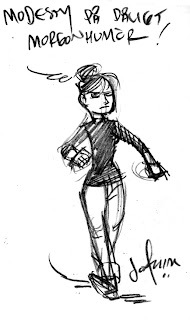 Got a zillion things to proof read, edit and compile today, so I better get going. 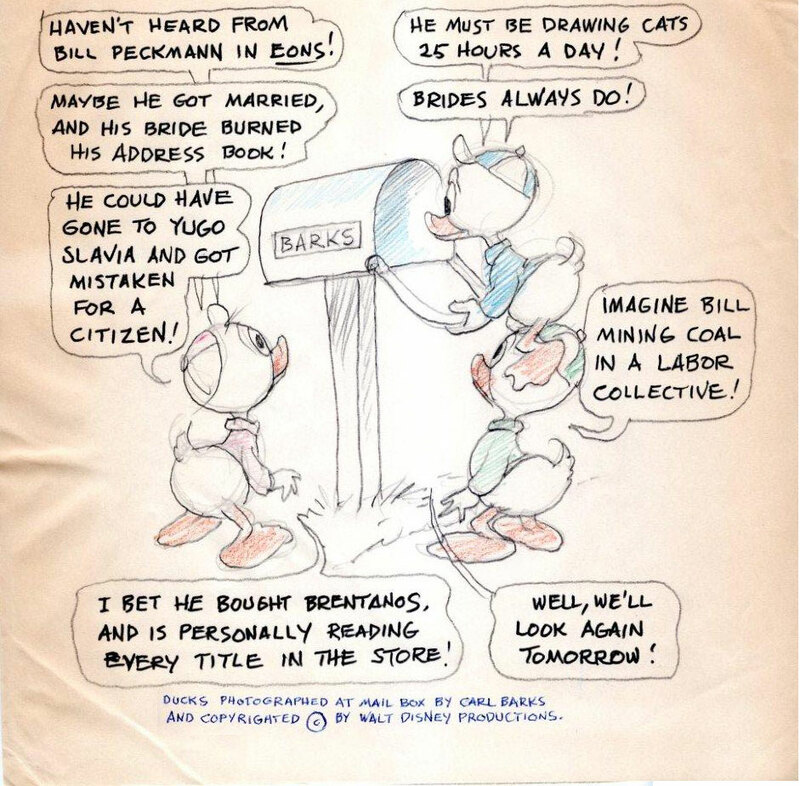 Continuing the Barks posts with more stuff from Bill Peckmann's collection. Let's continue where we left off last time. 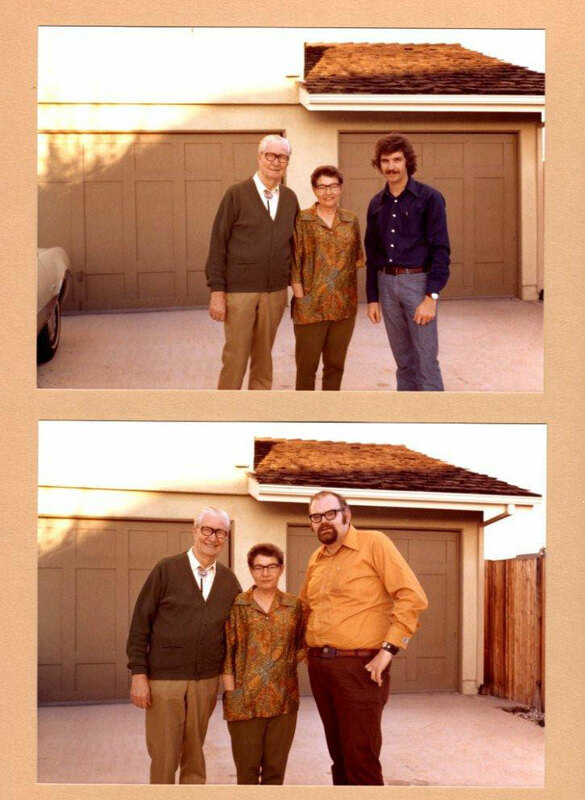 At Barks home in Goleta, 1972. This time with two fans from NYC. "The top photo is of your's truly and the bottom photo is of my very good friend John Verpoorten. 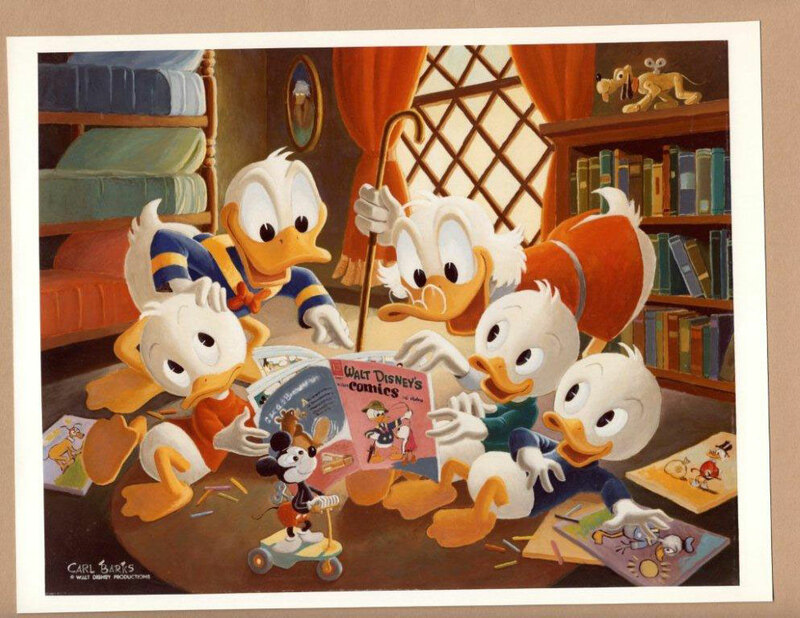 We became friends in High School because of our love of the "Good" Duck artist (we didn't know his name at that time). We then had the terrific great fortune of visiting the Barks' in '69, '72 and '76. 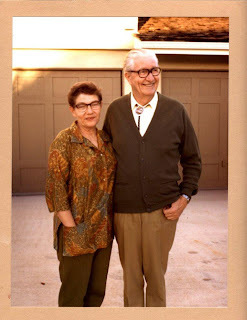 John died in 1977, at that time he was production manager of Marvel Comics. Still miss him to this day." 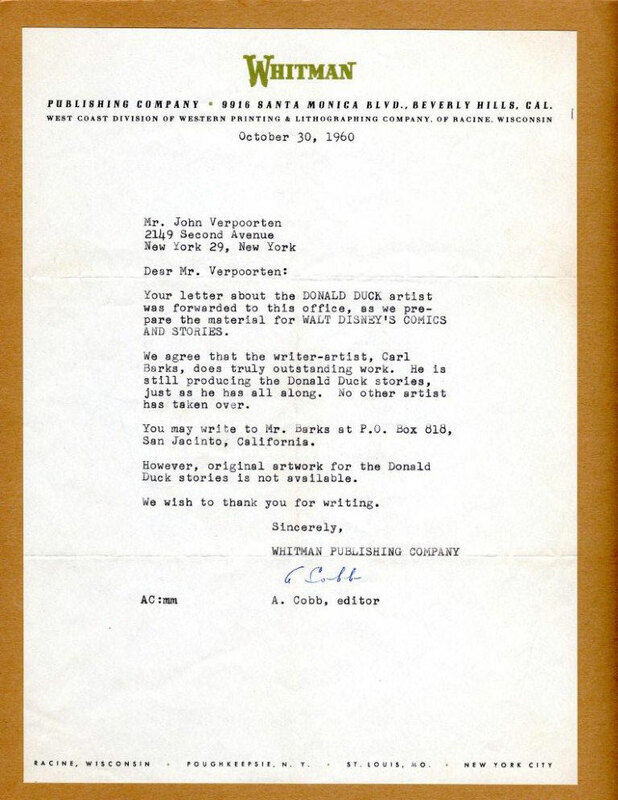 John was one of the very first fans to get Carl's address from Whitman publishing. 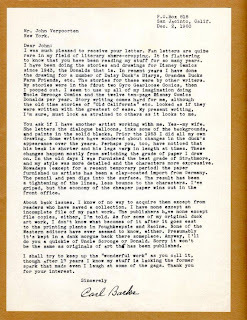 Here we can see the letter he got from Alice Cobb in October, 1960. John wasted no time and wrote Barks a letter. And got a fast reply! 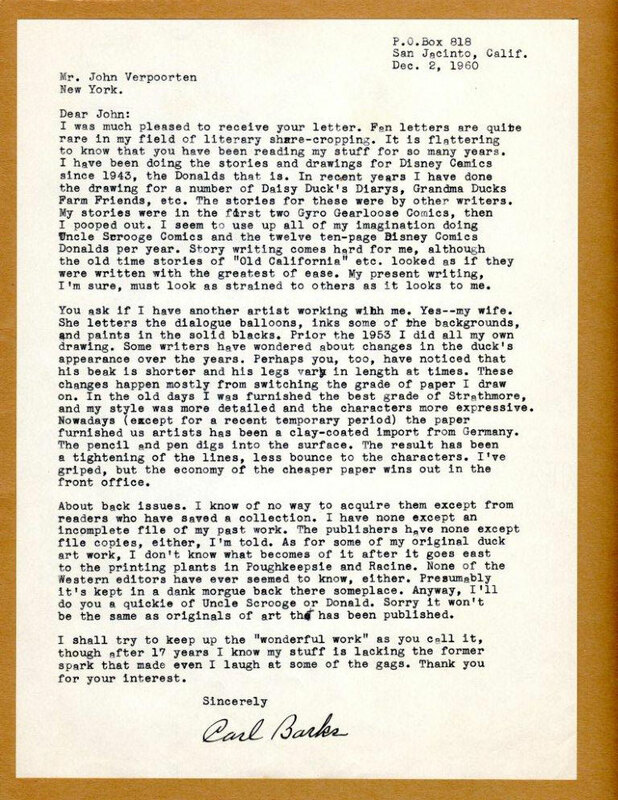 This is the very first letter he recieved from him in December, 1960. But what's a Barks post without some ducks? Here's a nice Barks oil that Bill mailed me. Lack of blogposts you say? Well, I'm currently working on a hush, hush, secret project together with Hedvig. I'm lettering and inking, while Hedvig does the pencils, from a script by one of Sweden's most well known "indie" writers. Will take some time to finish but it's fun, fun, fun to work on it! Will hopefully be available next year. Without revealing too much what it's about, here's a sample piece from one of the pages. ... in a bad morning mood. 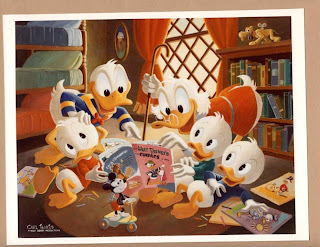 A week ago or so I got an email from Bill Peckmann with a wonderful piece of Carl Barks artwork attached. I asked if I could share it om my blog and he happily agreed. 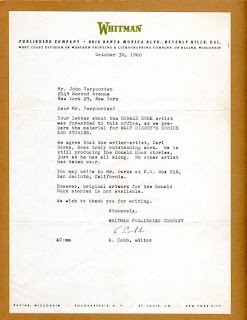 And not only did he agree, he sent me lots of other interesting scans and photos that will be posted here on the blog the forthcoming Wednesdays. Thanks for sharing, Bill! 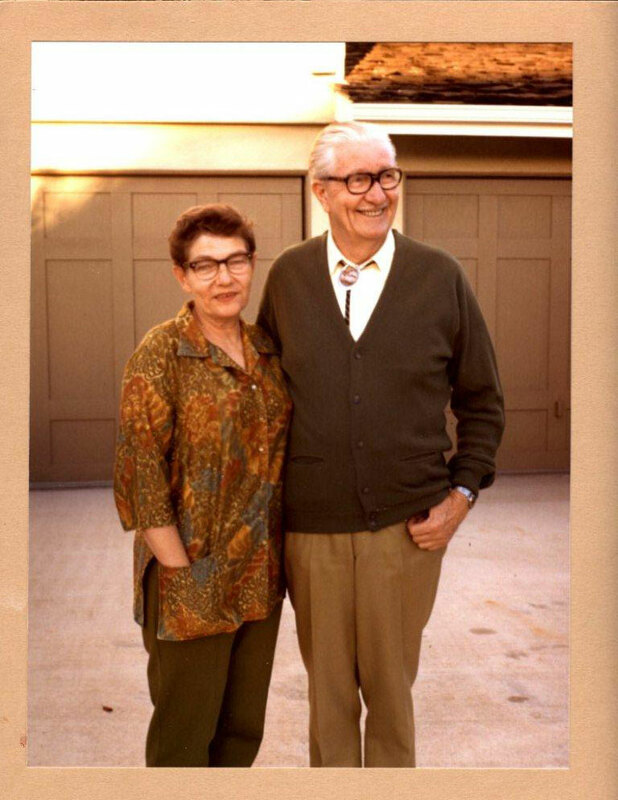 And a photo of Garé and Carl in Goleta 1972. 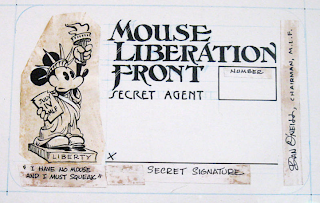 If you want to see more of Bill's own work and what he's got in his collection: head over to Michael Sporn's Splog right away. He's been supplying Michael with some great stuff and wich can be seen if you click HERE. Enjoy! 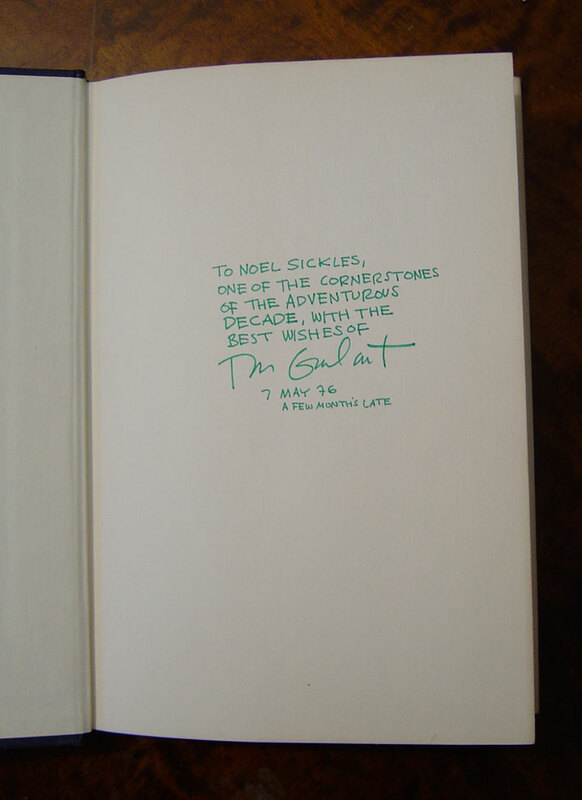 There are some books I treasure more than other in my bookshelf. The book is now available in a new, redesigned, edition with new illustrations HERE. 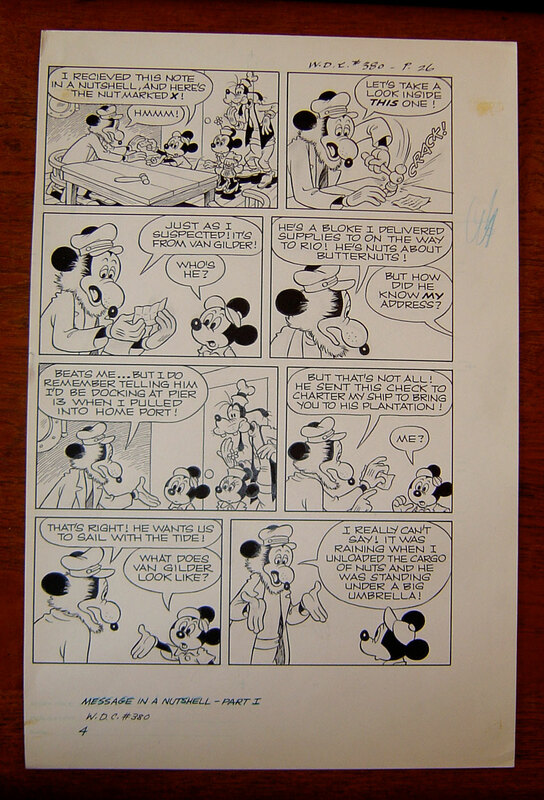 Here's an original Mickey Mouse page by Paul Murry from my collection. It's taken from the first part of "Message in a Nutshell" in WDC 380, 1972. 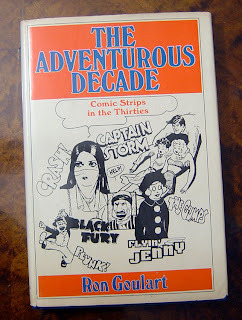 Picked it up from Don Ault many years ago. He probably got it, along with the rest of the pages from this part, from Del Connell in the early 70's. Now, besides beeing a nice 70's Murry page there's something I've enjoyed with it since I first got it. You can tell that Murry felt that this scene was boring as it left no space for action or scenery. What to do then? Let's do it as quick as possible and move on to the next page. If you didn't catch it while looking at the full page, here's a "summary". Oh, my... 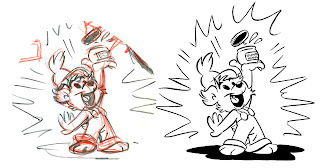 Remember the drawings from The Gallery on Baum that I featured here last year? The guy behind it all, Tony Greco is still in the business of selling his fake "art". Check out an article from the Post-Gazette HERE. Thanks to Mike Lynch's blog for the link! Hmmm... would you buy this orignal Fake ... eh... 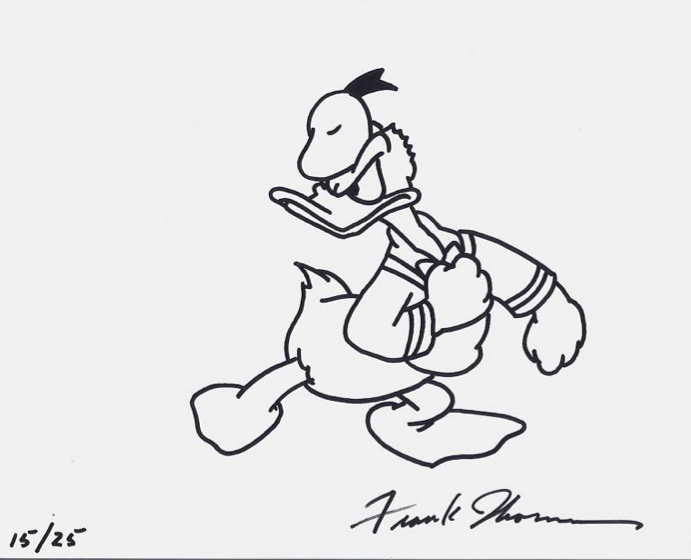 I mean Frank Thomas drawing? 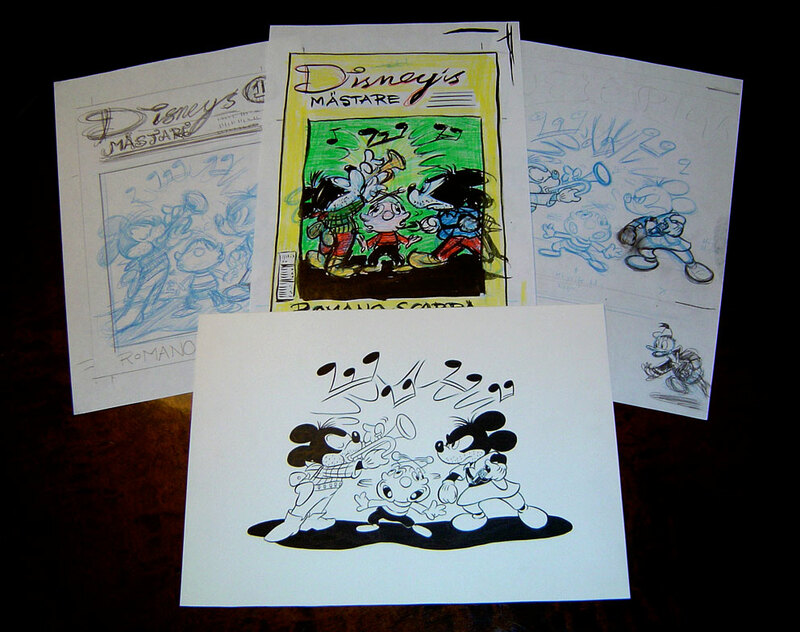 If so, don't forget to check out the new, hilarious fake drawings that are bound to fool at least some unfortunate collectors on eBay... Click HERE. The most amazing thing is that he's got 100% positive feedback!!! 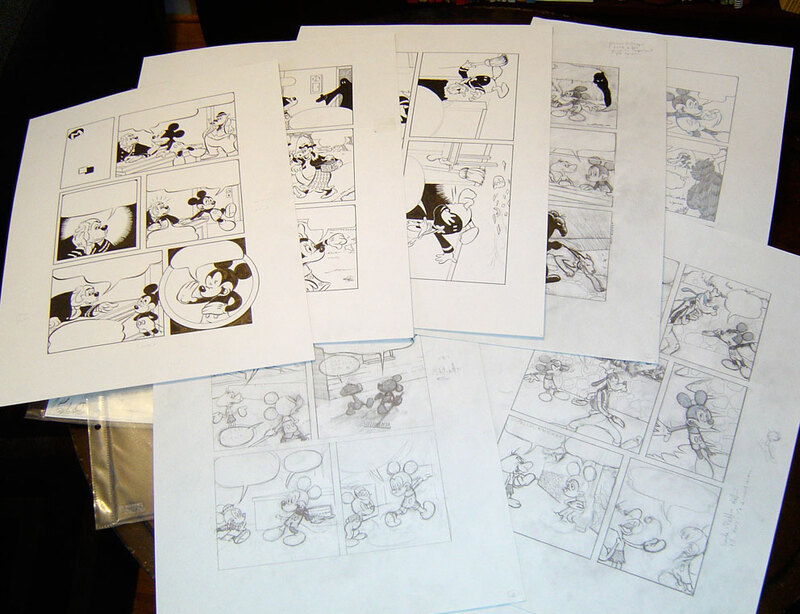 his collection of original art. What's veeeery wrong with one of these pieces? Feel free to use comment field for your thoughts. 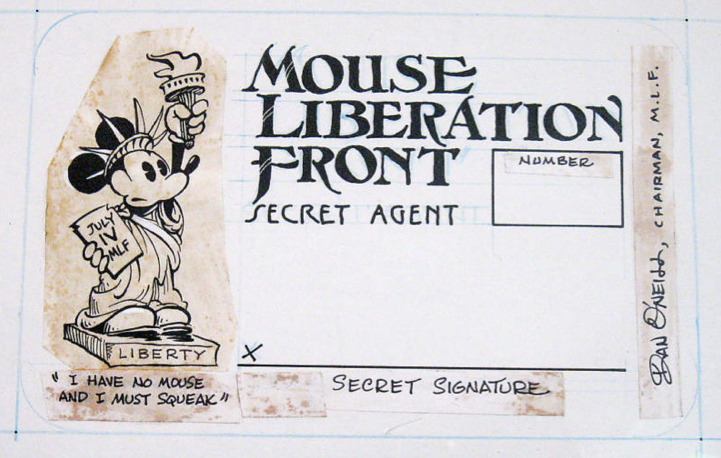 The original art to the Mouse Liberation Front's membership card!!! 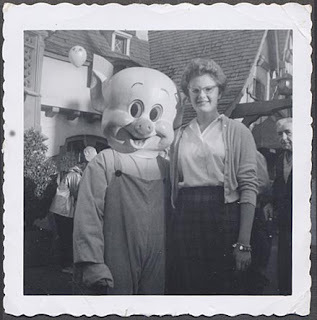 This gal really ought to get a new boyfriend. Flashback to the late 90's. 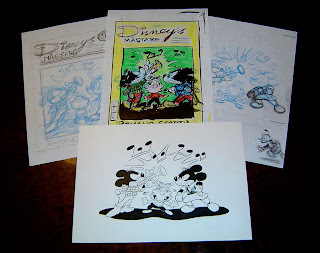 I had just finished artscool and wanted to become a Disney artist. 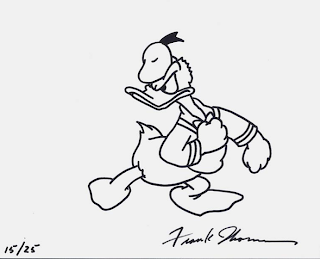 Unlike most other wannabees my goal wasn't to draw the ducks. 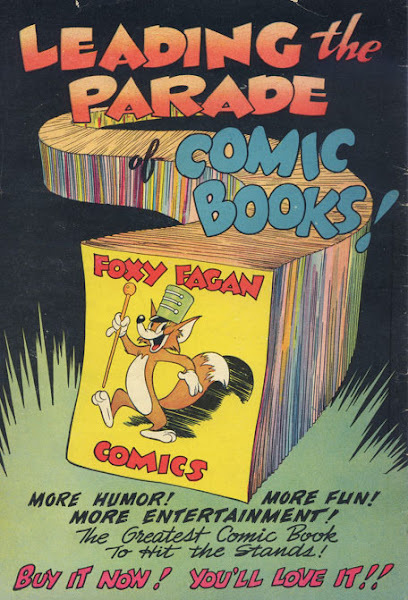 No, my goal was to write and draw Li'l Bad Wolf like Harvey Eisenberg and Mickey Mouse like Gottfredson and Scarpa. 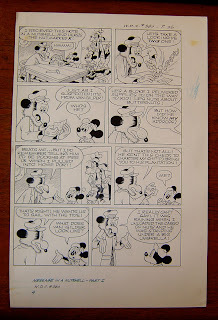 And maybe, maybe try to draw Donald Duck, but more in the style of Taliaferro than Barks. 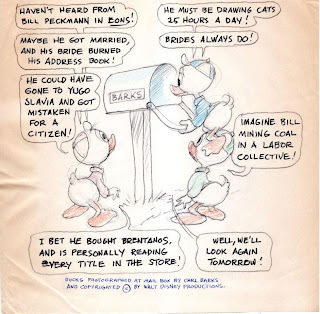 I felt there were already so many Duck artists out there doing the Barks thing that I felt I couldn't compete anyway. Now, time to put these back in the closet and get some work done today. Have to dump some electronic junk, clean up in the studio, write some scripts and a zillion other things. 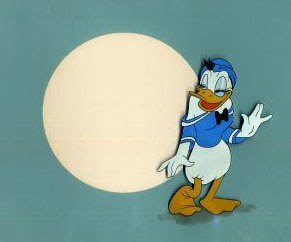 Do I really want to know why Donald pretends to be female on this cel? Do I really want to know why he's grown breasts? As the bride said to the groom: I do! Any Disney fan-atic who knows where this slightly bizarre image was used? PS. 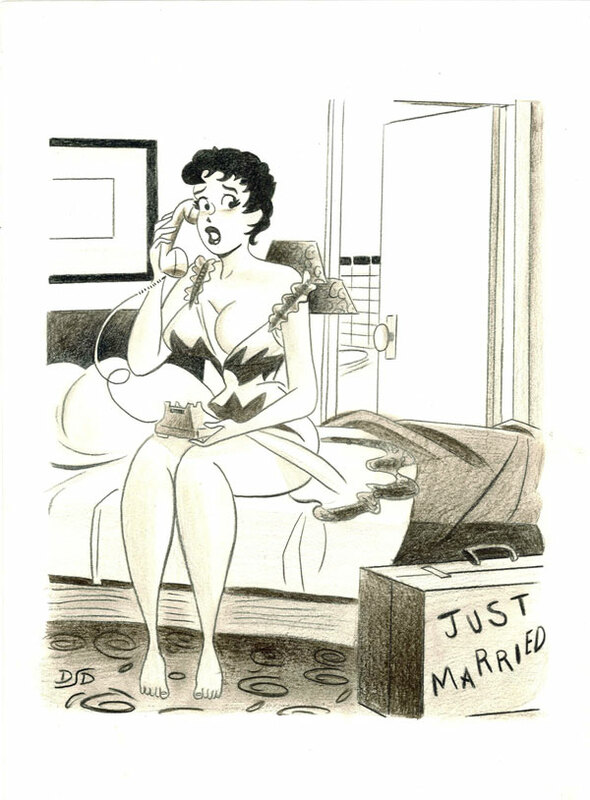 Check this out: Jerry Beck's "Toons in drag"! 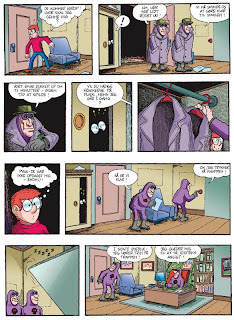 Werner Wejp-Olsen just sent me a couple of colored Felix pages. (See previous Felix posts HERE.) It's nice to see how the artist himself envisions the colors to his work. A strip he did more than 30 yeas ago and intended for black and white newspaper publication. 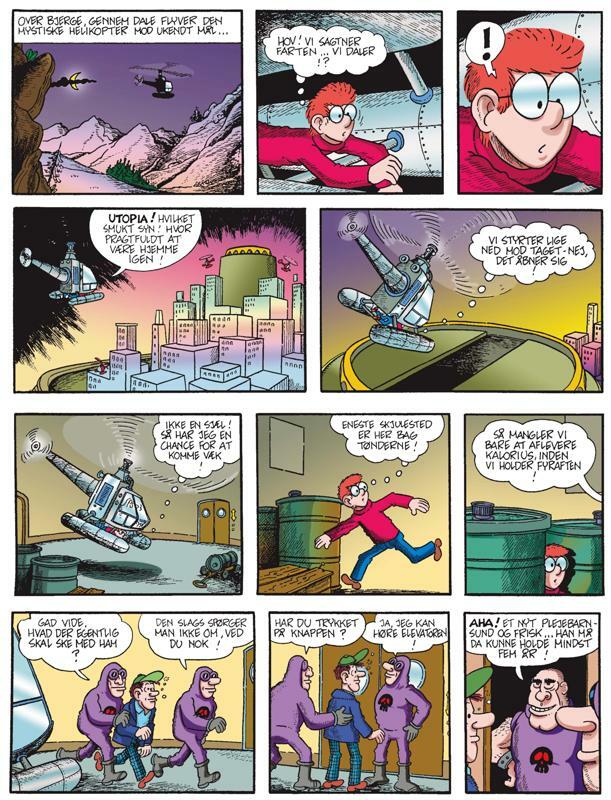 The samples below are from the Utopia storyline. 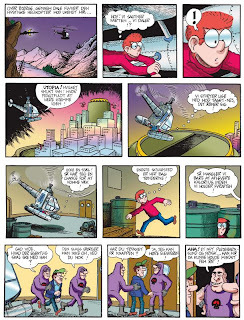 Now, I've said it before and I say it again: These un-reprinted Felix strips needs to be reprinted here in Scandinavia. I can't possibly be the only with nostalgic childhood memories to them. 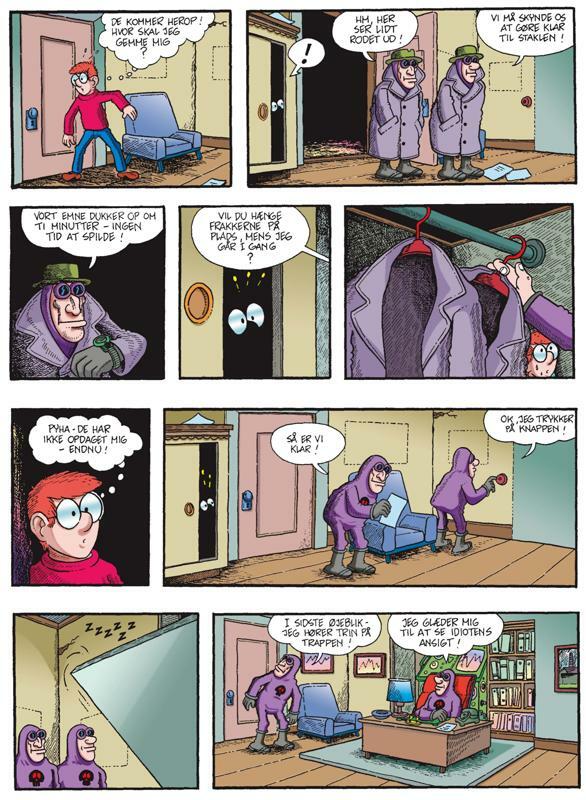 Kartago will soon have reprinted the full run of Jan Lööfs version of the strip. 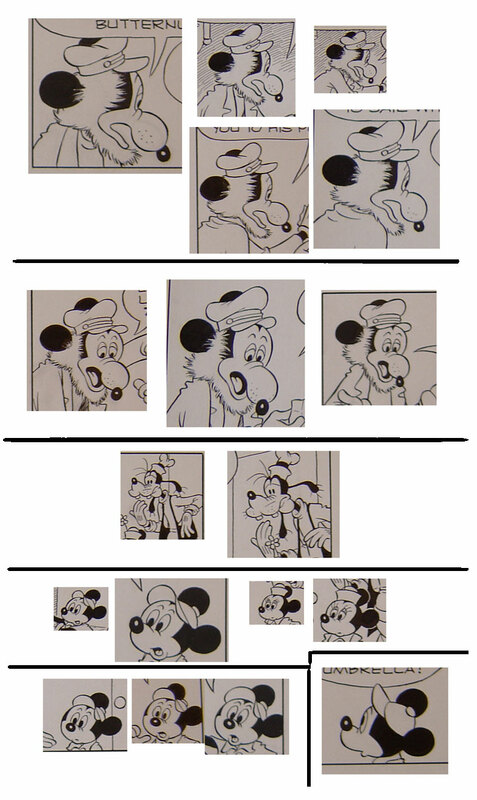 Wich publisher is smart enough to secure the rights to the later strips?